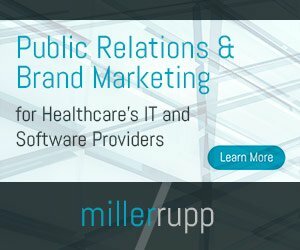 “The rise of meaningful use mandates and a growing trend of self-care among consumers is shifting the role of an EHR from a mere clinical repository to a platform for shared decision-making among consumers and doctors,” said Kaveh Safavi, MD, managing director of Accenture’s North America health business. “Just as consumers can self-manage most other aspects of their lives, they expect to take greater ownership of their medical care, and they are willing to switch to doctors who share their values and are willing to provide access to consumer records,” Safavi said. These are interesting perspectives, but not entirely new and certainly not unique. The Sage Healthcare Insights study examines the effect of implementing an electronic health record system on both physicians and their patients. The purpose is to understand how the perceptions of physicians who use EHR systems differ or are similar to the perceptions of the patients who recall seeing their physician use the system. According to the study, patients felt more comfortable with physicians that used an EHR system, and more importantly, felt that the information contained in the medical record was more accurate when they physically saw information being entered electronically. “What we learned is patients like to see their verbatim information entered into the record as they said it, not as the doctor interpreted it,” added Otter-Nickerson. About 42 percent physicians use an electronic health record solution to document their patient care and about one in three uses an EHR during a patient encounter. Overall, 62 percent of physicians and 81 percent of patients have a positive perception of documenting patient care electronically. Forty-five percent of patients had a “very positive” perception of their physician or clinician documenting patient care with a computer or other electronic device. More than 60 percent of physicians feel the best benefit to using EHR is the access they have to patient records in real time. Physicians also believe that the ability to seamlessly share information with other doctors, pharmacies and payers is among the most important benefits. The majority of survey respondents agreed with the statement that EHR will help improve the quality of healthcare (78 percent of patients; 62 percent of physicians). While both physicians and patients believe that EHR will help improve the quality of healthcare, both groups have concerns about privacy and the security of EHR (81 percent of patients; 62 percent of physicians). Given their use of and exposure to the security measures used to keep electronic medical records secure, physicians using an EHR have fewer concerns about the security of records. Forty-seven percent of patients recall seeing their physicians or nurse/assistant taking notes in a computer or other electronic device while only 39 percent of patients saw their physicians or their nurse/assistant taking notes directly into a computer during treatment. Gives the physician access to patients’ medical records and history in real time. When appropriate, helps the physician securely and seamlessly share information with other doctors, pharmacies and payers. Helps the physician make good decisions about patient care, ultimately driving the quality of patient care. Overall, most physicians and patients agreed that medical records stored electronically will help improve patient care. Also, physicians and other clinicians who participated in the study were quick to point out that EHR is a tool to help them perform their work more efficiently. According to the survey, patients, on the other hand, increasingly expect that their doctor offer them access to electronic medical records and patient e-tools, and as a result, are encouraging their physicians to adopt more connected technologies such as electronic health records, said Otter-Nickerson. What am I trying to say: Sure, more patients are wanting access to their records and more will demand it from their physicians or otherwise, but let’s not pretend that Accenture’s news is new, groundbreaking or shocking. This is a topic talked about for years, and yes, there is an uptick, but there’s still a lot of work to be done.